Can you help us spread the news? A notice from this organization that supports veterans. We emailed you last week to thank you for your past support and today we have a few updates we thought you may be interested in knowing. Through our new partner, the United States Naval Sea Cadet Corps, cadets age 10-18 will be getting sponsorships for flowers and will be honoring those who have served at over 10 cemeteries around the country. We are grateful for their service and honored to be working with these young Americans to help bring back the meaning of Memorial Day. Thanks to all of the supporters, partners, and volunteers we will be holding flower tributes at over 40 cemeteries this year. Learn which cemeteries are participatingdirectly with MDFF this year. We are humbled to be honoring more and more of our fallen each year and we are grateful to all of our supporters, such as you, for helping us reach this point. You can help us by sharing this email with your networks and giving others the chance to sponsor flower tributes at any of the cemeteries listed. If you’d like to, please support our efforts at Sacramento Valley National Cemetery again this year or use the donate button below to help our efforts across the country. P.S. Please take a moment to update your preferences so that you can continue to receive notices about our future events. The Memorial Day Flowers Foundation honors those who have served our country. 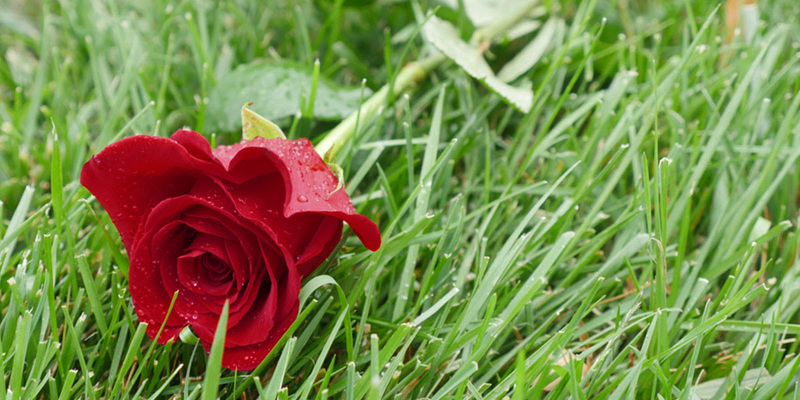 Thanks to the generosity of private, public, and corporate sponsors, the Foundation works with local organizers and volunteers to place roses and other flowers on gravesites at National, Veterans, and Local cemeteries across the United States. Copyright © 2019 Memorial Day Flowers Foundation, All rights reserved. You are receiving this email because you opted in either through our website, when you volunteered, or when you made a donation. This entry was posted in Memorial Day Flowers Foundation and tagged Memorial Day Flowers Foundation on April 20, 2019 by Michael K. Barbour. An item from the Canada History magazine. Help your students learn more about Canada’s rich military history throughout 2019 with free bilingual resources for youth ages 5–18. D-Day and the ensuing Battle of Normandy is one of Canada’s most significant military engagements of the 20th century. Over 90,000 Canadian soldiers volunteered to serve our country and saw action in the Normandy Campaign. Of these, more than 5,000 brave Canadians died and more than 13,000 were wounded in this battle, which ultimately helped lead to the end of the Second World War. 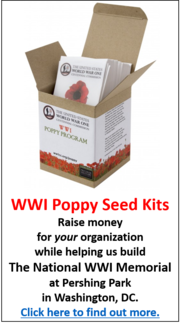 You can order free, bilingual print learning resources, including posters, postcards, bookmarks and historical sheets and access online lesson plans, historical information, video interviews with Canadian Veterans and photo galleries. In the months leading up to the 75th anniversary of D-Day and the Battle of Normandy on June 6, 2019, Veterans Affairs Canada is partnering with VIA Rail Canada, Parks Canada and community organizations to hold events across the country. These events will highlight the journey across Canada that service members took during the Second World War, mainly via the rail lines to Halifax, from where they sailed across the Atlantic to join our Allies bravely fighting for freedom in Europe. As it stops across the country, from Vancouver to Halifax, a train will carry combat boots as symbols of Canadians, from all walks of life, who took this journey to serve our country. Join the conversation on social media using the hashtags #CanadaRemembers and #DDay75. Visit Veterans.gc.ca/D-Day75 to order or download free materials, find events in Canada and in France, and learn other ways to get involved. You are receiving this email as a member or friend of Canada’s History. / Vous recevez ce courriel parce que vous êtes membre ou parce que vous appartenez à la communauté d’esprit de la Société Histoire Canada. This entry was posted in Canada’s History and tagged Canada's History on April 19, 2019 by Michael K. Barbour. Our next Chesterfield Chat is coming up on Wednesday, May 15th! Join the conversation as our panelists explore how we can influence today’s social and environmental challenges by being more informed and thoughtful about our own investments. 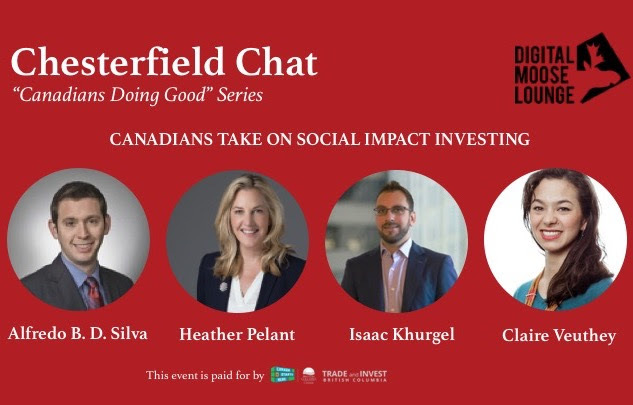 Our latest Chesterfield Chat panel will gather Canadian and Canada-friendly experts in the growing ESG investment sector to discuss current trends and challenges, and share tips and insights from the field. Thanks to our partners at BC Trade & Invest and Morrison Foerster, your free registration includes the panel discussion followed by a Q&A with the audience, and networking with other Canadians and attendees. Food and refreshments will be available. Copyright © 2019 Digital Moose Lounge, All rights reserved. You are receiving this email because you subscribed to our newsletter on our website. This entry was posted in Digital Moose Lounge and tagged Digital Moose Lounge on April 18, 2019 by Michael K. Barbour. ANZAC Day commemoration in San Francisco will be at the Log Cabin in the Presidio, Sunday April 28, 11:00 a.m. Please note this up-coming service to commemorate a battle that included members of the Royal Newfoundland Regiment among the ANZAC forces. This is a reminder for those wanting to attend the ANZAC service in San Francisco and enjoy a picnic in the paddock afterwards. Please purchase your BBQ tickets in advance to assist with catering numbers. BBQ tickets can be purchased from the SF Aussies website sfaussies.com, or possibly on the day of for $25 per person & $15 per child (depending if they sell out via the website or not). NZAASF: Our mission is to promote and foster good relations between NZ and the US through a variety of social and cultural events held in the Bay Area. This entry was posted in ANZAC Day and tagged ANZAC Day on April 17, 2019 by Michael K. Barbour. It was an exciting day in the U.S. World War I Centennial Commission office on Friday, April 12! We took delivery of the beautiful new updated sculptural maquette, created by sculptor Sabin Howard. 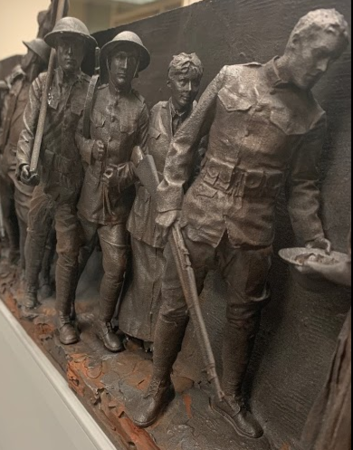 This new scale-model maquette was crafted at the Pangolin Foundry in the UK, and incorporates a number of updates to the design for the National World War I Memorial in Washington, DC. This maquette also includes new details like the surround wall — along with a suggested Archibald MacLeish quote. This will help greatly with finalizing detail planning and closing in on the final look of the project. Click here to read more about (and see additional photos of) the new maquette. A Newburyport, MA city native has found himself at the center of a living history of World War I. 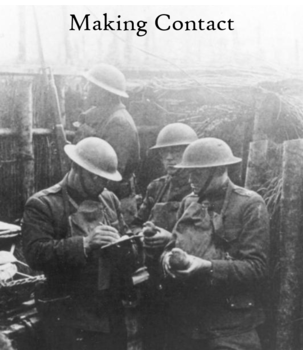 The United States World War I Centennial Commission has been working to produce projects and activities commemorating the Great War’s centennial anniversary ever since it was created by an act of Congress in 2013. Sculptor Sabin Howard has been commissioned to create the National World War I memorial in Washington, DC, and has been using a first-of-its-kind, 160-camera “photogrammetry” rig to do so. Howard has been working along with roughly 35 actors who are portraying Word War I soldiers for the project, and Newburyport native Paul Emile Cendron is one of those Doughboys. Click here to read more about how a Massachusetts actor from a small town will play a big role in the National World War I Memorial in Washington, DC. Our friends at the legendary American Legion Post 43 in Los Angeles have great reason to celebrate. They recently completed a multi-million dollar top-to-bottom renovation of their landmark clubhouse — not the least of which was their spectacular 1920’s-era theater space. 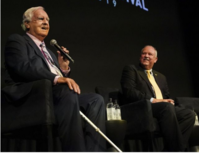 To kick things off right, they agreed to host, as their first major event, the multi-day annual Turner Classic Movies TCM Classic Film Festival. The film that was picked to introduce this year’s film festival was none other than Sergeant York, the classic Gary Cooper film produced in 1941. And of course, to introduce this great film, the film festival picked none other than our friend, Colonel Gerald York, grandson of Sgt Alvin York, and his uncle, Andrew Jackson York, son of the WWI hero. Click here to read more about the reconstruction, the new mission, and the grand opening of the American Legion Post 43 clubhouse. Anna Bonaparte was 4 years old when her father James Wilkie died on board the USS Tampa on Sept. 26, 1918. Though she didn’t have many memories of her father, she constantly spoke about him and his service in the Coast Guard, said her son Wallace Bonaparte. Next month, Bonaparte, a former Army captain, will travel from his home in Charleston, S.C., to Washington to receive a Purple Heart in honor of his grandfather, as part of an initiative to recognize the 115 service members who died more than 100 years ago on board the ship. Anna Bonaparte died in 2012, and Wallace can only imagine how proud she would have been to see her father receive a medal for his service. Click here to read more about the upcoming Coast Guard ceremony, and the Coast Guardsmen who will receive their long past-due Purple Heart medals. A soldier from Torrington, CT who died in WWI will be honored this summer by a local high school student as part of the Connecticut State Library’s “Digging Into History“ project. Lucas Rodriguez, 16 (left), will join a group of other teenagers from the state who will travel to France where certain American soldiers faced the German army for the first time. The group will volunteer in the village of Seicheprey where the troops dug trenches into the forest soil in April 1918 as a measure of protection. As part of the history project, Rodriguez is researching the military history of John Ryan, of Torrington, with the help of the Torrington Historical Society. Click here to read more about the Connecticut State Library project, and how Rodriguez’s interest in WWI was kindled by stories he heard from his family about their military service. The University of Virginia was in the national spotlight this month for becoming the National Champions of the NCAA Basketball Tournament. We are thrilled for them — and we were also thrilled to find out that they have a special World War I-related project underway at their campus! 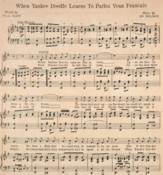 As part of collaborative project called “ReSounding the Archives” between UVA, Virginia Tech and George Mason University, students from each school researched and analyzed World War I songs from UVA’s archives, and George Mason students recorded studio versions. Click here to read more about how this remarkable World War I musical project has become a resounding success. In April 5th’s edition of the World War I Centennial News Podcast, Episode 117, author Alan Axelrod joined the show to speak at length about George Creel, the publisher of the government’s Official Bulletin and one of the most powerful war-time Americans. Axelrod is the author of more than 150 books, and one of those books that Alan wrote is called Selling the Great War: The Making of American Propaganda. It’s the bio of George Creel. Podcast host Theo Mayer and Axelrod had such an interesting conversation that it had to be broken out into two parts. Click here to read the transcript of part one of the discussion of George Creel, the man who sold America on World War I. In March 29th’s edition of the World War I Centennial News Podcast, Episode 116, host Theo Mayer told the story of the first flight across the Atlantic Ocean; a tremendous feat made possible by innovations in the flight technology that resulted from The War That Changed the World. On June 15, 1919, John Alcock and Arthur Brown (seen at left, taking mail in Canada for delivery to the UK) flew into history and a nice payday as they successfully crossed the Atlantic non-stop in spite of fog and ice. Click here to read the entire transcript of the discussion of how the aftermath of World War I had profound effects on technology and new technology-driven industries like aerospace. For Afghanistan veteran and writer, David James, there is something profoundly important to remember about the tragedy WWI, though sometimes the easiest way to deal with tragedy, if not by outrage, stoicism, or escapism, involves a disarming sense of humor and irreverence. James brings up these four issues in his post by focusing on Robert Graves’ memoirs Goodbye to All That, which traces Graves’ early life in England, his participation in the trenches of WWI, and his post-war experiences. Read History Between Humor and Tragedy: Musings on Robert Graves’ Memoir, Goodbye to All That at WWrite this week! “It’s the Flu!” American war worker uses dark humor to describe reactions to the deadliest pandemic in human history. An estimated 1/3 of all humans worldwide were infected with Spanish influenza in the 1918-1919 pandemic. Monday’s Doughboy MIA this week is Private Zibbia Wilson. Sometimes also spelled Zibba or Zibbia, Wilson was born 15 April 1895 at Mill Springs, Floyd County, North Carolina, the son of Thomas and Doris Wilson. At the time he was drafted, he was a farmer, working on one of two farms his family worked. Tall and slender, with blue eyes and black hair, on his draft card he initially tried to claim exemption due to nervous indigestion. Nonetheless, he was inducted and sent to Company E, 120thInfantry Regiment, 30th Division, sailing for France on 12 May 1918 from Boston, Massachusetts. The circumstances behind Private Wilson’s MIA status are unclear, but one report has him dying of disease while another has him killed in action. Nothing else is known at this time. Want to help us shed some light on Pvt. Wilson’s case? Consider making a donation to Doughboy MIA and help us make a full accounting of the 4,423 American service personnel still listed as missing in action from WW1. Make your tax deductible donation now, with our thanks. On December 19, 2014, Congress passed legislation designating Pershing Park in the District of Columbia as a national World War One Memorial. The Act authorizes the World War One Centennial Commission to further honor the service of members of the United States Armed Forces in World War One by developing Pershing Park into the National World War I Memorial. 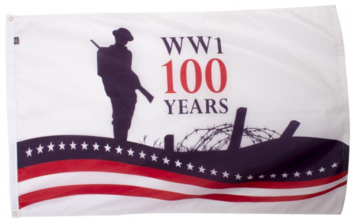 This WW1 Centennial Flag is made of durable nylon and measures 3’x5′. This flag has the iconic Doughboy silhouette digitally screened onto it and has 2 brass grommets to hang the flag. A portion of the proceeds from the sale of this item are designated for this endeavor. You can show your support, and help promote the efforts, by proudly displaying your custom flag. A Certificate of Authenticity as Official Merchandise of the United States World War One Centennial is included. The road to Nicholas Riggs’ Eagle Scout designation includes a stretch of South Sycamore Street in Petersburg, VA, known for its iconic WWI Doughboy statue. 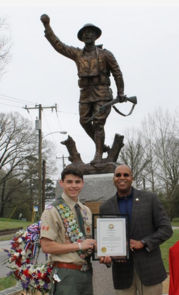 Riggs, a member of Scout Troop 900 in Prince George County, formally unveiled his Eagle Scout project last weekend: a makeover of the Doughboy site that included landscaping, a new stone bench, and a flagpole. Click here to read more about this extraordinary restoration project for the “Old Soldier,” which has stood its ground since 1928, when it was presented to Petersburg by the American Legion. Terzo Cenci was born in 1890. 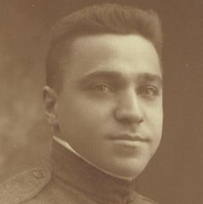 Terzo Cenci served in World War I with the United States Army. The enlistment was in 1917 and the service was completed in 1919. Terzo (translated to “Third,” was the “third” child) Cenci was born at 11:30 p.m. on September 23, 1890 at No. 56 Via del Corso, in the city of Terni, Umbria, Italy, to Agostino Cenci and Alessandra Formiconi. In 1903, Terzo, his uncle, Bernardino Formiconi, and Bernardino’s new bride, Rosa Modestini, all came to the United States from Italy on the same sailing of the S.S. Prinz Oskar. Terzo travelled in steerage, Bernardino and Rosa did not. The ship left Naples, Campania, Italy on December 7, 1903, and sailed into New York harbor on December 26, 1903. Terzo was 13 years old. He arrived at Ellis Island with $20.00 in his pocket and was going to join his older brother, Dante, who was living at 112 Elmer Street, Trenton, NJ. In April 1912, the Cenci Family moved north to New York City, residing for many years in what was then known as Italian Harlem. Private Terzo Cenci was enrolled in the National Army on August 24, 1917. Read Terzo Cenzi’s entire Story of Service here. 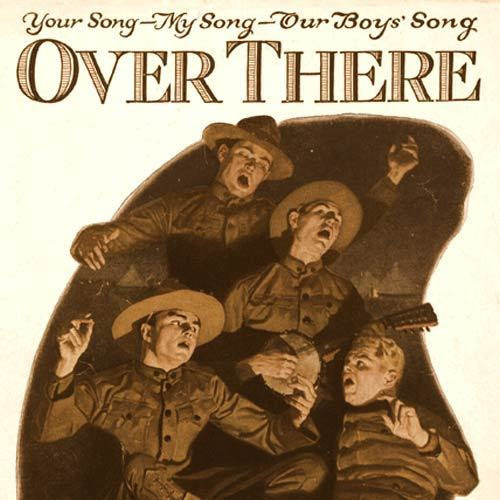 This entry was posted in World War One Centennial Commission and tagged World War One Centennial Commission on April 16, 2019 by Michael K. Barbour. Leah Tams on animal’s role in WW1 – Including slimy ones! This entry was posted in World War One Centennial Commission and tagged World War One Centennial Commission on April 15, 2019 by Michael K. Barbour. Celebrate the RCAF 95th Anniversary! An item from the Legion Magazine. This entry was posted in Legion Magazine and tagged Legion Magazine on April 14, 2019 by Michael K. Barbour.